Euronormboxes transparent - surplus-neus Webseite! The Euronorm boxes are very stable plastic contain­ers which are odorless, cold and heat resistant as well as insensitive to most acids and alkalis. The sys­temized module sizes simplify the stacking, storage and transport. 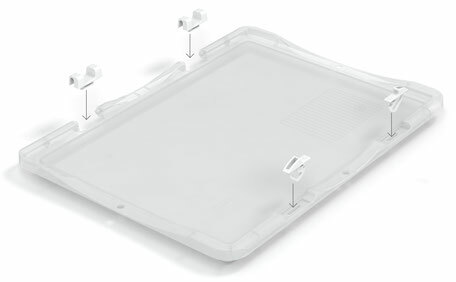 The transparent box further offers the possibility to gain an insight view into the stored con­tents at any time without the necessity to open the box. As product complements we offer lids with and without hinges, inserts, transport trolleys and reversal adapters. The Euronorm boxes are particularily stable plastic containers which are odorless, cold and heat resist­ant as well as insensitive to most acids and alkalis. The systemized module sizes simplify the stacking, storage and transportation. The product comes in a shiny grey tone and is available in two wall structures, closed and perforated. 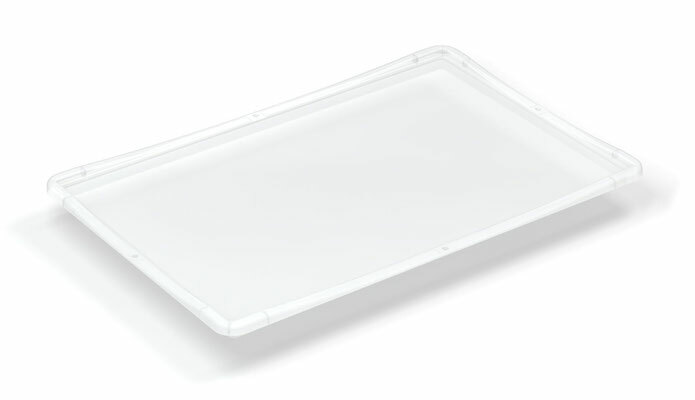 As product supplements we of­fer lids with and without hinges, transport trolleys and reversal adapters. We are also first time introducing a box with the di­mensions 60 x 80 cm in two different heights. The largest box in our Euronorm series has the same quality characteristics as the other boxes of the se­ries and allows a simplified storage and transport of high-volume items. Conscious “ecological” storing and organizing with the Euronorm box in black based on recycled material. This durable box in a simple black meets the same quality standards as the Euronormbox series in grey and transparent. In addition, it impresses with an un­ravelled price performance ratio. It can be used - just like the other products from the Euronormbox series - in industrial environments and workshops, but also as a storage and organization box at home. The two lid versions, with and without hinges, are the perfect supplements to our Euronormbox series. All lids are available in the Euronorm colors, grey, trans­parent and black and the appropriate sizes. 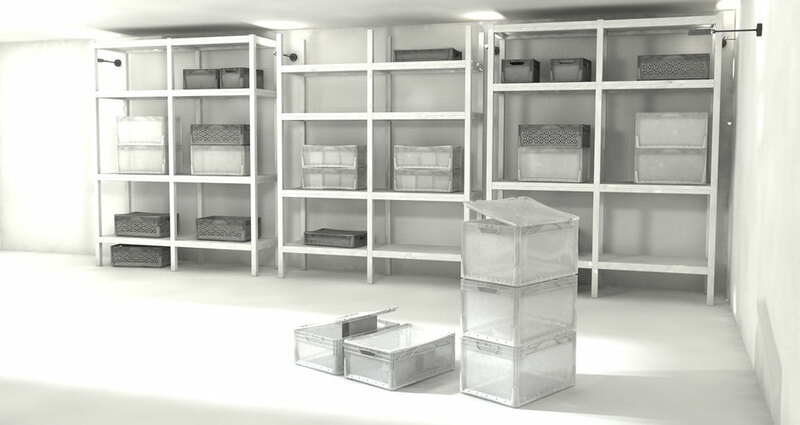 They ena­ble a clean and dust-free storage.